Our self guided walking holidays in Romania are the perfect way to immerse yourself in the totally different world that you will find in Transylvania and the South Carpathians, or in the lesser known Apuseni Mountains to the west. Explore two mountains in Transylvania: Piatra Mare (Big Stone) Mountain and Piatra Craiului (King’s Stone) National Park at your own pace; then move to discover the beauty of the Danube Delta on a guided boat & hike tour. For a glimpse into medieval Transylvania, take a stroll around the old city of Brasov. This trip starts near Balea Lake, a picturesque glacial lake at just over 2,000 m. For a spectacular view of the Fagaras, you will hike to one of the highest peaks in Romania. 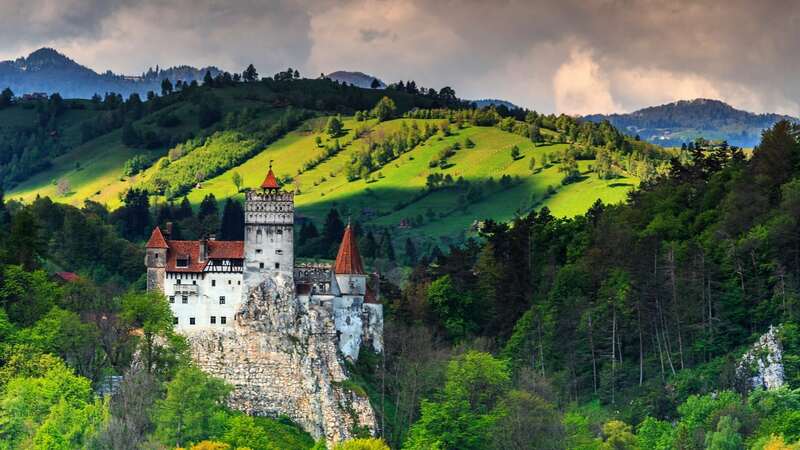 For a glimpse into medieval Transylvania and its towns with narrow, winding streets, you take a stroll around the medieval towns of Sibiu and Brasov. 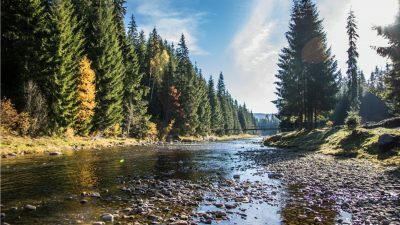 Our Trails of the Apuseni Mountains walking holiday will let you explore a world of deep forests and silky meadows, impressive gorges and canyons, majestic waterfalls and fascinating caves in the lesser known parts of the Carpathian Range. A self-guided walking holiday in the beautiful Carpathian Mountains in Romania. Explore the villages of rural Transylvania and the valleys of Piatra Craiululi and Bucegi Mountains. Piatra Craiului Mountains, with their narrow and saw-like ridges, are considered to be the most beautiful in the Carpathian mountains range. A self guided walking holiday in the beautiful Carpathian Mountains in Romania. 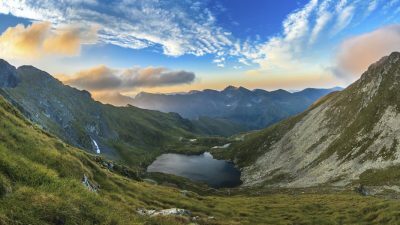 Explore four mountains in Transylvania in 8 days: Piatra Mare Mountain, Piatra Craiului National Park, Bucegi Natural Park and Postavaru Mountain. Bucegi Natural Park is Romania’s best-kept secret, rivalling Slovakia’s Tatra Mountains and the Alps when it comes to walking. Where Do our Walking Holidays in Romania Take Place? Our walking tours in Romania include several distinct regions, each of them offering unspoilt nature, excellent hiking opportunities and welcoming people. The Western Carpathians, also known as the Apuseni Mountains (the ”Mountains of the Sunset”), with their breathtaking karst landscapes and traditional villages are unique in Romania and in Europe. Our Trails of the Apuseni Mountains walking holiday will let you explore a world of thick forests and silky meadows, impressive gorges and canyons, majestic waterfalls and fascinating caves that accommodates an abundant variety of fauna and flora. Popular as the Transylvanian Alps, the Fagaras Mountains are impressive with multiple peaks over 2.500 m. Your active trip starts near Balea Lake, a picturesque glacial lake at just over 2,000 m. For a spectacular view of the Fagaras, you will hike to one of the highest peaks in Romania, before descending back to the beautiful Balea Lake and Balea Waterfall. In the following days, you will explore the charming landscapes around Cisnadioara, where you also visit the Cistercian and Evangelical churches. Accommodation is in hand-picked 3 or 4-star hotels (spa facilities available on Days 5 and 6). The Piatra Mare Mountains is a small mountain range in Brașov County, southeast of Brașov, Romania, and also close to the resort town of Predeal. They are included in our Four Mountains of Transylvania walking holiday. With their narrow and saw-like ridges, the Piatra Craiului Mountains are considered to be the most beautiful in the Romanian part of the Carpathian mountains range. Bucegi Natural Park is Romania’s best-kept secret, rivalling Slovakia’s Tatra Mountains and the Alps when it comes to walking holidays. Its glacial valleys offer a wealth of natural beauty, history and adventure. The Bucegi Mountains are located in central Romania, south of the city of Brașov. To the east, the Bucegi Mountains have a very steep slope towards the popular tourist destination Prahova Valley. At a higher elevation is the Bucegi Plateau, where wind and rain have turned the rocks into spectacular figures such as the Sphinx and Babele. The Postăvarul massif is a massif in Romania, being part of the Romanian Carpathians, (which are part of the Carpathian mountain range). The altitude of the highest peak, also named Postavarul is 1,799 metres. Geographically the Postăvarul Massif stands at the southern end of the grand arc of the Eastern Carpathians. Together with the neighbouring Piatra Mare Massif, it forms the Barsei Mountains group, neighbouring the southern side of Tara Barsei (Burzenland) depression. Poiana Brasov, one of the best-known ski resorts in Romania, is located on the northern slopes of Postavarul mountain. The peak of the mountain can be easily reached from the resort by cable car. 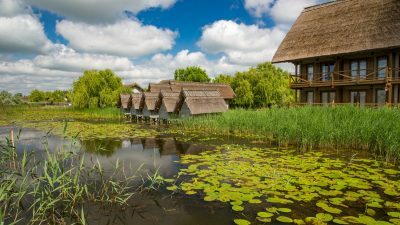 Boat & hike in the beautiful Danube delta, the second largest river delta in Europe, after the Volga Delta, and is the best preserved on the continent. The greater part of the Danube Delta lies in Romania (Tulcea County). The Danube Delta represents a very favourable place for the development of highly diverse flora and fauna, unique in Europe, with numerous rare species. It hosts 23 natural ecosystems. Situated on major migratory routes, and providing adequate conditions for nesting and hatching, the Danube Delta is a magnet for birds from six major ecoregions of the world, including the Mongolian, Arctic and Siberian. There are over 320 species of birds found in the delta during summer. Over one million individual birds (swans, wild ducks, coots, etc.) winter here.